Menai Suspension Bridge, Wales, c1826. 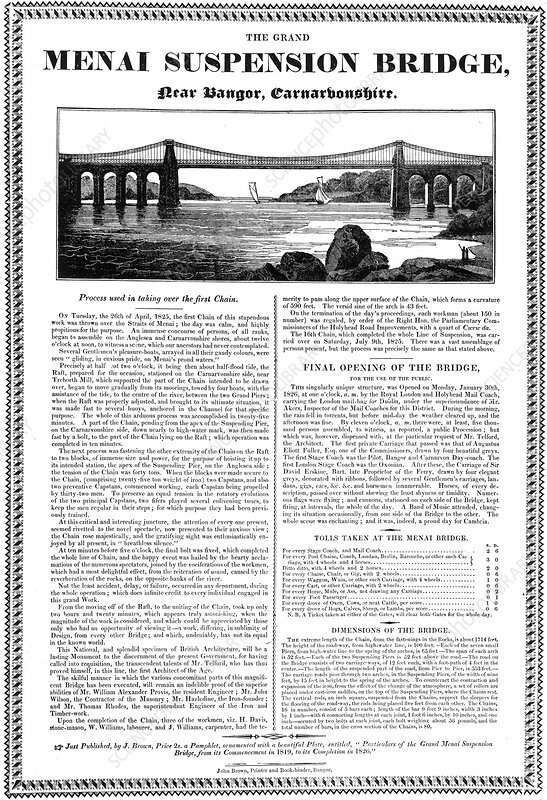 Broadsheet on Thomas Telford's suspension bridge across the Menai Straits joining the Welsh mainland and Angelsey, built between 1820 and 1826. It was built to carry the London/Holyhead road used for transporting mails between Dublin and London. The bridge's original timber deck was wrecked in a storm in 1839. In 1940 the chains were renewed with high tensile steel.